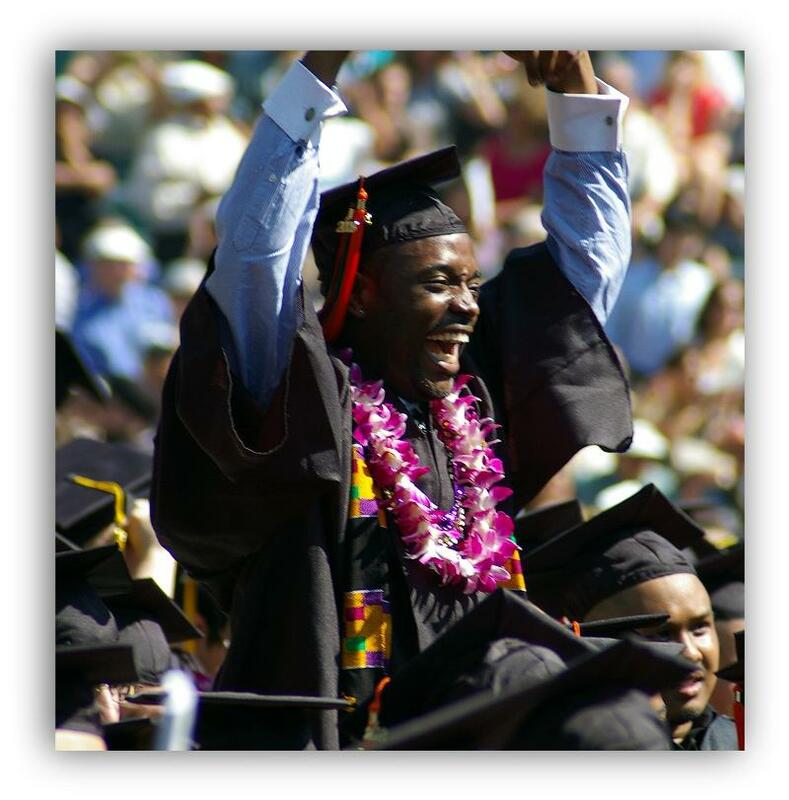 This is the time of year for all types of graduations… from high school, college, graduate school and vocational schools. Parents, family, loved ones and friends are so very proud of the accomplishments of the graduates. We hear “pomp and circumstance” playing in the background as we recall these graduations or perhaps our own from years past! Graduations occur at the end of a long course of study capped by exams testing our comprehension of what we have learned and retained. Graduation ceremonies, however, are called, “Commencement” as the students embark on new adventures as they face the next phase of their lives and go out to seek a job. As a real estate professional, you face this same challenge every day! “Stay hungry; stay foolish!” (Steve Jobs – Commencement Address at Stanford University, 2005) Every day you start at “zero” and your job is to go out and seek new business…. just like a college grad. Once you convert a prospect to a client, you are out of a job and need to go find another. Consider that once your Buyer purchases a new home and once your Seller sells their existing home, you are out of a job until you go find another prospect to convert to a client! “Stay hungry” and go find more work! “If you want to play a game, go to where it’s played and find a way to get in. Things happen when you get in the game!” (Chris Matthews – Commencement Address at Fordham University, 2006) If your career is focused on working with Buyers, go find them! Buyers come from a myriad of sources: sign calls, the internet, “First Time Homebuyer” seminars, relocation companies, apartment complexes, new marriages, new divorces, past clients, etc. Are you advertising properties online? Maximum One has a complete program outlined on the Extranet how to advertise HUD properties on Craigslist! Are you willing to work sign-calls? Connect with a prolific listing agent who focuses on listings & work out a referral business! Sign-up for Agent-on-Duty! Host a seminar for Buyers… “Tips and Tricks on Buying a Short Sale!” “First Time Home Buying Seminar” “Your Mortgage Could be Cheaper than Your Rent” “First Time Real Estate Investor Workshop” “Foreclosure Bus Tour” Take out a booth at a Wedding Trade Show! Call your Past Clients & Sphere of Influence! Connect with a Divorce Attorney! Contact a corporate Relocation Company! Do you have a lead-generating & lead-capture website? Get one through Reflect Resources or eWebEngine! Find a way to be where the Buyers are! If you prefer listings… prospect Expired & Withdrawn Listings! Contact your past clients & sphere of influence! Market to Short Sales! Do BPO’s for banks & get into the REO business! Practice & perfect your listing presentation! Conduct a seminar: “How to Sell if you Owe More than Your Home is Worth!” or “5 Steps to Selling Your Home in this Distressed Market” Answer your phone from a sign call… they may have a house to sell as well!” Think like a real estate consumer and be where are they looking… EVERY DAY! “Abundance is here for the taking. Don’t bemoan your lost frontier. It is even now flashing on our horizon. A gorgeous land lies before you fair and more beautiful than man before has ever known!” (William Allen White – Commencement Address Northwestern University, 1936) There is more than enough real estate business to go around… and there always will be! People will always need a roof over their head and a place to call home and YOU are the one they need to help them find that! There is no other profession besides real estate where you can make as much money and have as much influence helping others as the opportunities provided to you by your chosen career. Graduate each evening and commence your new adventure each morning embracing your education received & experience yet to occur! Congratulations graduates!!! While shopping for cards for my Mom and Mother-in-Law this weekend, it occurred to me how many various roles Mothers play in our lives. There are thousands of cards expressing sentiments in a way to evoke smiles, laughter, memories and tears. They reflect the role of Mom as guardian, partner, cheerleader, friend, advisor, role model, teacher, doctor, coach and the list continues. As a real estate agent, we feel that our role in that position has many titles as well! We all have had clients where our role in the relationship takes on many varying forms throughout the transaction and after we close the deal. While we may feel the need to take on these different jobs, remember that for you to excel in your career, you have one primary responsibility… go find people to help with their real estate transactions! To have a successful and profitable career in real estate, all you have to do is keep it simple! If you follow the basic three steps to success, a profitable career awaits you! Job #1: Talk to People Everyday! There are so many prospects that need your assistance… go find them! You must have conversations! The internet is a great tool… emails are a great tool… postcards are a great tool… websites are a great tool… The key to a thriving career, however, lies in your effective and influential conversations with others! Do you need to learn any scripts? Objection handlers? The more powerful your presentations, the more people you can help and the more money you can make! Watch the training calendar or ask for some assistance! Job #2: Have a Plan! Be clear on the plan and standards you set for yourself in terms of your business. These should be clearly outlined in your business plan. What price range is the lowest you will work? What is your standard for referral fees? What about the cooperation level in terms of communication with your clients… do you discuss with them your expectations of this? What part of the city will you drive to for Buyers? Sellers? Your time and expertise and effort is extremely valuable and worthy of respect. Set the expectations with your clients regarding how you work, what they can expect from you and what you expect from them prior to engaging in a business relationship. The more specific your plan and the higher the standards you set for yourself and your clients, the greater return you will have on your investment of your time. Job #3: Track your Activities & Results! What you track, you can control and improve! The number one universal tip in weight loss is to write down everything you eat! Many report easy weight-loss simply by tracking their food-intake because people don’t realize what they consume. Many bodybuilders report dramatic gains by tracking their workouts weekly. One of the main tenets of goal-setting is to write down your goals. Write down everything you do in your business and you too will experience dramatic results! You will easily see where you spend your time, what activities are effective in putting you face-to-face with prospects, what conversations turn prospects into clients and what activities turn those clients into commission checks. Use your business plan and your activities and results tracking to truly get a handle on your business. Knowing your numbers in your business will increase the numbers in your bank account! 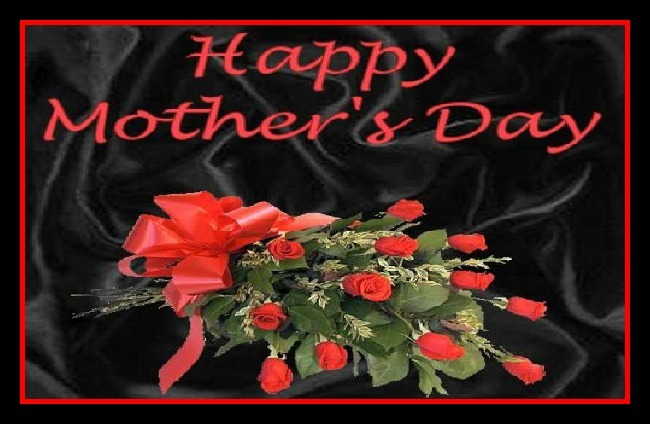 Like the myriad Mother’s Day cards on the shelves, as a real estate agent you feel that your roles are many and varied. Remember that your main job in your career is to find people to help, help them, make money in the process so you can bless more people with you influence and expertise! Celebration or Plea for Help? “May Day” is an ancient Spring festival full of rituals and celebrations! This public revelry is often depicted by colorful ribbons & streamers being wrapped around a may pole and baskets full of flowers and treats left at another’s doorstop. “Mayday” is a familiar cry for help! 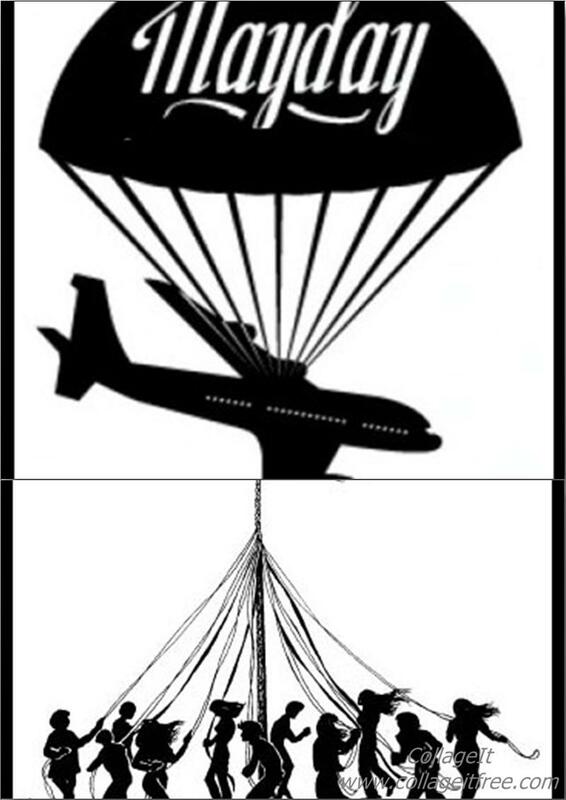 This internationally recognized distress signal is often repeated three times, “Mayday! Mayday! Mayday!” so as not to mistake this call for anything other than what it is. The third May Day connotation refers to the International Worker’s Day which originated as worker’s rights to shorter work days. So on May 1st, which May Day was more applicable to your real estate business? We are well into the 2nd quarter of the year and we will certainly re-visit our business plans at mid-year. When is the last time you looked at your business plan? Hopefully you are on track or ahead of your game plan! You dance around the May Pole of Real Estate and celebrate the listings you have taken and sold, the Buyers whom you have happily placed into new homes, the money you have brought home!